Looking for Stylish trendy Hats For women. Here Are some of the cool an trendy hats for this summer and spring season. These beautiful trendy hats are very much in fashion now a days and they really look cool and stylish on girls and compliment the girls fashion. 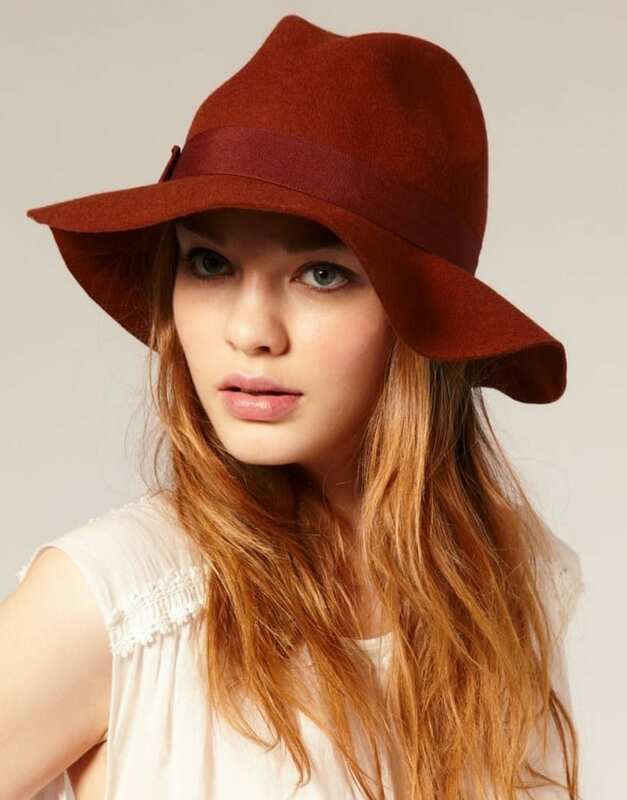 Well Hats are not only the style and fashion accessory that can give you glamorous look. This one stylish thing also protect the head and skin from the blazing sun until the drops of rain that fell soaked earth. Being a fashion accessory too, a variety of stuff and designs used to make cool hats . The model also vary, ranging from leather winter hats for men like any women, until hats are worn for special events such as the fedora and panama style. Lets have a look on some cool and stylish trendy hats for girls for summer /spring. We all know that hats are a necessary accessory for summers. One of those accessory to have that keeps you stylish and trendy. Sun hats are also famous and must have for summers because they keep you safe from the sun rays. They save your skin an protect it. Also because they make you look chic. Hats can be found in several designs and colours. There are different kinds of hats that can be worn. Whether you are heading to a beach, party, horse race, pool party etc. You can wear the hats according to the occassion. You all must know that the hats are a stylish way to pull off the boring look into a stylish look. Trilby style hats, bucket hats, trim hats, fedora hats etc are going to be the popular hats for summers. With the start of summers, people start planning to have more outings. Usually they prefer to go to beaches in the summer and spring season. Other than that to festivals, parks, race, and to lots of other places. There’s no denying about the hot and sunny weather in summers, but one needs to stay protected or might end up getting tan. A stylish hat can let you protect yourself from the heat and will also let you look stylish. We have compiled some pictures of total of stylish hats that can be worn according to the occassion, outfit and taste. You can pick up the one’s that would suit you the most or would compliment your outfit. Have a look at the pictures below to get unlimited ideas. Hope you had a fun time reading the post. Enjoy your summers and dress well. Don’t forget to carry your hat when you head to your beach party or any other outing. For all those girls who like to dress up as a cowgirl will surely love the idea of wearing hats. Cowboy hats are also a great option to wear in summers. They will look fabulous with a jeans and shirt.